After graduating from the special needs program at their high school, Biddie and Quincy are paired up to live together. Biddie will clean and cook for their elderly landlady, while Quincy works at a local supermarket. Unable to read or write, and with a history of being treated cruelly, Biddie defers to Quincy. This isn't always best because Quincy has been mistreated her entire life, since her mother's boyfriend bashed her head with a brick and changed Quincy's life. The two girls learn from each other and become more independent through their time together. The feeling I had while reading Girls Like Us was heavy. There was a sense of foreboding hanging over the novel which mimics the way the characters felt when interacting with others. Would they be physically abused again? Would people treat them poorly because of their disabilities? I took on the characters' worries as my own. 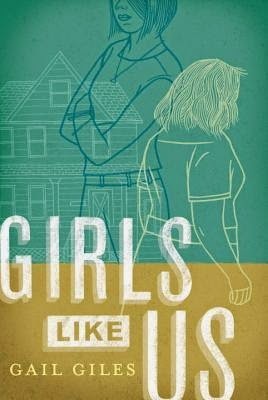 Girls Like Us is a quick read, alternating between the perspectives of Biddie and Quincy. At times, it was very painful to read, but it was important. This would be a good choice for a high school book club; there are so many things to discuss and a lot of humanity to learn. I'm glad I read it.